It was not too thin, but not too thick, either, with a very smooth taste. Eventually I squirted in some lemon from the wedge, and that was even delicious. 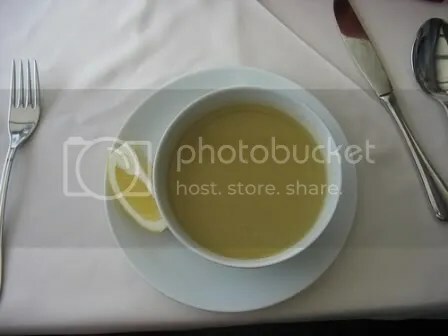 Though the rest of the lunch was tasty, I would have been just as happy with a couple more bowls of this soup. Lentil soup is one of the best combinations of amazing taste and low price you can find in the food world. While some recipes include various vegetables (tomatoes, potatoes, carrots) and herbs (mint is very common, and paprika too), some are no more than lentils, broth, onions, and some kind of oil.